How a Republic Dies | Why the TEA Party? 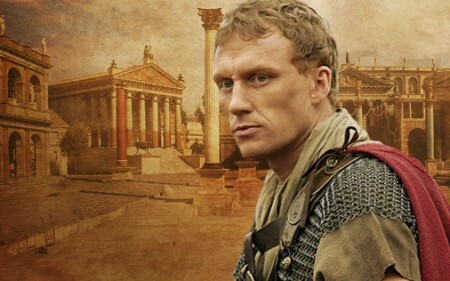 One of my all-time favorite HBO series is ROME, starring Kevin McKidd and Ray Stevenson. Borrowing on a theme similar to Forrest Gump, the series follows the journey of two men in Julius Caesar’s Roman legion who seem to find themselves making history wherever they go. The soldiers are Lucius Vorenus (McKidd) and Titus Pullo (Stevenson). Although Vorenus and Pullo are real centurions who displayed outstanding bravery and valor in battle and were included in Caesar’s war journals, their journeys and experiences in the series are the creation of the writers. ROME chronicles the period in Roman history when the people lost their republic. Aside from the entertainment provided by Vorenus and Pullo, who are often violent and crude, the story showed how the Senate tried to stand up to the ambitions of men like Julius Caesar and Octavian (who renamed himself Augustus Caesar) to protect the people’s hand and voice in government. Perhaps I am drawn to the series because of my Italian heritage or perhaps it is because of Rome’s history as a republic and its impact on our Founding Fathers when they sat down to fashion a government to serve the people and protect their inalienable sovereign rights. Rome was established as a republic in 509 B.C. when it was a mere city-state. It was easy to manage and government was responsive to the people. Originally established as an advisory board composed of the heads of patrician families (wealthy landowners), the Senate soon became the most powerful organ of republican government and the only body of state that could develop consistent long-term policy. It was involved in virtually all public matters, but its most important responsibilities were in foreign policy and financial administration. Roman citizens had a voice in government by electing Senators who represented them and were accountable to them. After the second Punic War (218 – 201 B.C. ), when Rome defeated Carthage, Rome’s economy soared and trade grew. Rich landowners and merchants were able to buy up most of the land in the county. Eventually, they would begin to have more and more political power. Under Roman law, only landowners could serve in the military, but as it happened, the rich wouldn’t serve in the army. The number of soldiers dwindled and this caused instability in the Roman military. In 133 B.C., Tiberius Gracchus, who was elected to the position of tribune, proposed several laws to reshape Rome into the republic that it had been intended and that it had once been. The proposed laws included giving an equal share of land to all citizens, limiting the amount of land one person could have, and allowing every free Roman citizen to vote (at the time, only residents of Rome could vote). Gracchus’ ideas were very controversial for the time and when Romans began to riot, he was killed. His brother Gaius took the position of tribune in 123 B.C. and he attempted to pass the same laws. He too was murdered. General Marius ushered in more reforms in 104 B.C. He established a new law which stated that people did not have to own land to be a soldier. This served to benefit the military. However, in return for their service, soldiers began to demand that they be given land. This required Marius to use his influence on the Senate, for at the time, there was no provision to grant soldiers land. It was General Marius versus the Senate. The result was that soldiers became very loyal to Marius; they trusted him. In fact, they were more loyal to him than to the Senate. It was from this point on that generals began to gain significant political power in Rome. Generals who commanded the legions and who were popular with them could become quite powerful. By about 79-78 B.C., Rome was temporarily back to being ruled by the Senate. Meanwhile, Pompey, the most distinguished general of the time, was gaining public favor from his many military victories. At the same time, Crassus, the wealthiest man in Rome, also gained much popularity from the common people, for defeating a large slave uprising. Both Pompey and Crassus were ambitious and had designs on ruling Rome. But still another prominent general was also gaining much popularity. That was Julius Caesar. Pompey, Crassus, and Caesar would make a secret alliance to work together to gain control over the Senate. This alliance would become known as the First Triumvirate. But soon ambition, politics, and battle would destroy that union. Caesar was elected consul in 60 B.C. He proposed laws that would gain the triumvirate even more power. When the Senate tried to oppose these laws, Crassus and Caesar resorted to intimidation and violence in order to get them passed. When Crassus was killed in battle in 53 B.C., the triumvirate was destroyed and only two were left – Caesar and Pompey, who were good friends. (Caesar even betrothed his beautiful daughter Julia to Pompey in order to strengthen the political alliance between them). Julius Caesar left Rome after his term as consul ended to take up a governorship he demanded in southern France. Ignoring the orders of the Senate, he raised his own army, and led a path of conquest throughout all of Gaul. Marc Antony, another brilliant general, was with Caesar at this time in Gaul and was making a name for himself. After eight years, word grew that Julius Caesar was returning home. The Senate was afraid that he would bring his army and march on Rome and pleaded with Pompey to organize resistance. But Pompey was torn. Caesar was his friend. His wife was Caesar’s daughter and he loved her deeply. But Pompey did as asked and began to build an army. Unfortunately he could not do so in time and when Caesar marched into Rome, Pompey was forced to flee. Caesar eventually bought off, threatened, or intimidated members of the Senate, and at his command, they crowned him Emperor and gave him concentrated powers for a period of ten years. The people began to call him a tyrant. Senators called him a tyrant. Caesar countered by assuring them that he needed the power “to save the republic” and that after the ten years was up he would turn control back to the Senate. He didn’t trust the Senate to rule; instead, he thought he knew what was best for the people… and for Rome. Julius Caesar was assassinated on March 15 – the “Ides of March” – by senators Brutus and Cassius, among many others, who plotted among each other to rid Rome of the tyrant. They descended upon him in the Senate, stabbing him twenty-three times. Second-in-command, Marc Antony, was also supposed to be assassinated, from what I read. As the ROME series was able to convey, the conspirators believed that the assassination was a noble act because they were rescuing the empire from the designs of a dictator and delivering power back to the people. The Senate would once again regain control of Rome. The People would once again have their government back. Well, what followed was not much better. Immediately, civil war broke out between two factions – the assassins (republicans), including Brutus and Cassius, and the Caesarians, led by Marc Antony and Octavian. Antony and another strong general, Marcus Lepidus, unofficially established their power by intimidation through their armies. Octavian, the son of a noble Roman family, and nephew to Julius Caesar, was named as Caesar’s sole heir in his will. The ROME series spent considerable time portraying the mindset and ambitions of Octavian after Caesar’s demise. Young Octavian (a mere teen) approached the Senate leader Marcus Tullius Cicero, the foremost lawyer of the day and the greatest defender of the republic (and the man whose writings taught our Founders about “Natural Law”) and struck up a deal. Unknown to Cicero, the deal would have disastrous consequences. An astute Octavian told Cicero that the people loved Caesar and harbored great anger over his death. As Caesar’s appointed heir, he could easily manipulate the people against the treacherous murderous Senate. Furthermore, Caesar who was a good friend of Cicero’s, had appointed him and others in their leadership roles in the Senate. If the Senate was to officially declare Caesar a tyrant, as they planned to do, in order to justify the assassination and to undo his commands, then that would mean their appointments would be undone as well. So, Cicero made a deal and appointed Octavian consul of the Senate in return for Cicero and the others keeping their positions. Octavian then began to hatch plans for revenge against those who assassinated his uncle (now adoptive ‘father’). Brutus and Cassius and a few of the other conspirators had already fled Rome; they left when they found out that Marc Antony survived. In the two years that followed, Antony and Octavian each amassed great armies and consolidated power in various parts of the empire – Antony in the east and Octavian in the west. Each would have plans to consolidate power and take over Rome. Antony understood that the conspirators, many from powerful and noble Roman families, would have to be killed so they could not return to Rome, reclaim their power, and try to turn the people again him and Octavian just wanted them killed out of revenge. And so both Antony and Octavian joined together to go after them. Some of the conspirators committed suicide but the last ones to remain were defeated at Philippi in 42 B.C. Brutus and Cassius, the last to survive, watched this defeat and then killed themselves as well. The victors returned to Rome and the Second Triumvirate was formed, consisting of Mark Antony, Lepidus, and Octavian. This triumvirate was formally constituted. In effect, it sidelined the consuls and the Senate and effectively signaled the death of the Republic. The three men, Antony, Lepidus, and Octavian used the force of the army and swept the Senate with terror, killing Cicero and others. They chopped off the great Cicero’s hands and nailed them to the Senate door. In fact, they used a Roman law known as “proscription” as an incentive to kill Cicero and the others. “Proscription” was a Roman policy that was revived by the Second Triumvirate to label political enemies as “enemies of the state” which would then allow them to confiscate their money and property to pay the soldiers. Initially, Marc Antony took Caesar’s place, but Octavian, who somehow held the upper hand (perhaps because he was hand-picked by Julius Caesar as his heir), was suspicious of him and wanted him out of Rome. There is one account that Octavian forced Antony to marry his sister, Octavia, and Antony did not honor her properly. There is also another account that Octavian was resentful that Antony was so completely adored and beloved by the people of Rome and fearful of the intense loyalty that Antony’s men had for him. They thought of him as a god. And so, Octavian forced him to accept an appointment to govern eastern Rome, which included Egypt (conquered by Julius Caesar). This is where the famous story of Antony and Cleopatra comes from. Antony quickly became the lover of Cleopatra, the exotic Ptolemeic queen of Egypt (meaning that she is a descendent of General Ptolemy, who served under Alexander the Great of Macedonia, and then became the ruler of Egypt – 323-283 B.C. ), even though he was still married to Octavia. Antony and Cleopatra had children together. He also supposedly promised her roman land (an act of treason at the time). Octavian used all that information to make the case to the Roman people and to the Senate that Antony had switched his allegiance and dishonored Rome. Octavian would declare battle against him to assume sole power over Rome, which he did. He defeated Antony at the naval Battle of Actium in 31 B.C. and when he and Cleopatra were trapped and besieged at Alexandria, they both committed suicide. (Who can forget Elizabeth Taylor and Richard Burton as Cleopatra and Antony in the epic MGM production). Also around this time, Octavian accused of Lepidus of attempted rebellion, stripped him of his title, and forced him into exile. With Antony and Lepidus aside and removed from power, Octavian assumed sole power and became Emperor. Rome’s republic was officially dead. Octavian insisted on being called Caesar – Augustus Caesar – and would go on to rule for 40 years. [“Augustus” was a new title to be given to him, meaning “supreme ruler; holy, dignified or majestic]. The reign of the “Caesars” and those leaders that followed would continue to keep power concentrated in a single ruler. The power was never returned to the people. While the intentions of the leaders in the beginning for usurping power may have been to serve the “general welfare” of Rome, for example, by giving needy families sums of money from the national treasury or giving farm land to “deserving” people or giving grain to the people who could not find jobs or providing Gladiator games and other spectacular games for entertainment, the fact is that it was never returned properly to the people. The people seeing that they had no say in what their leaders were doing – that the Emperors were going to do what they wanted anyway – lost interest in keeping their government honest and decent and effective. And so the republic died. It died from within. Because of apathy. As the power of the emperors grew stronger and stronger, the Roman republic became but a distant memory. The once proud Senate that had witnessed the splendid orations of Cato and Cicero became dominated and weakened year after year by the succession of dictators. It atrophied into a mere figurehead of an institution. And the people themselves became disengaged. They took the duties of citizenship far more seriously during the days of the Republic than in the dictatorships of the Caesars. In the waning years of the republic and then into the reign of the Caesars, the populace no longer respected civic virtues and virtue in public life. Civic duty was treated as a triviality. In these final days of the Roman republic, the empire was faced with a changing social structure and culture. There once was a time when Rome enjoyed a very ordered society. But in those final days, at the height of its conquests, its social order began to break down. To appease and distract the plebs, Roman emperors handed out free distributions of corn and amused them with violent gladiatorial and other contests that were held in the Coliseum and chariot races at the Circus Maximus (stadium). The more Romans became addicted to the corn distributions and the mindless self-gratification, the more they lost the capacity to govern themselves. The threat posed by the plebs – that is, the decayed values and resulting social tensions – led to societal structural decline. This is how the late Roman republic came to be characterized. Social order began to quickly erode. Roman culture was forced to accommodate a new social order. “The decayed values of the plebs acted as the lowest common denominator in that they began to attract people of all statuses.” In fact, that’s when the threat to social order and morality became its greatest. The people became so distracted with entertainment and personal pleasures that they no longer valued civic virtues and bowed to civil authority with unquestioned obedience. Those scornful words “bread and circuses,” panem et circenses in Latin, were used to describe what would become the Roman formula for the happiness and well-being of its population. In fact, it would become a political strategy unto itself. As we can see here in the United States, it is a policy that seeks to create public approval, not through exemplary or excellent public service or public policy, but rather, through diversion, distraction, hand-outs, and/or the mere satisfaction of the immediate, shallow requirements of a populace. In the end, Rome collapsed because the people were morally corrupted and civically unfit and irresponsible. They were simply no longer fit to guard over their government, their liberties, and their own destinies. I wanted to tell this tale of Rome’s republic because our Founding Fathers were great students of history. Maybe this is what our Founder’s understood all along – that republics can wither and die from apathy, willful neglect, and most importantly from human decay. Maybe they understood that while power must always remain in the people’s hands and government must be limited, the people themselves, as the rightful guardians of that sovereign power, must be worthy of that challenge. And so, we see their frequent warnings to remain “moral and religious.” It was not to require that government be entangled with religion, but rather to help the American people to remain fit and of proper character to be faithful stewards of the republic they’ve been entrusted with. This entry was posted in Uncategorized and tagged Augustus Caesar, bread and circuses, Cato, Cicero, civic decay, civic duty, decline of Rome, decline of the Roman empire, Diane Rufino, Julius Caesar, Juvenal, Lucius Vorenus, Marc Antony, moral decay, Morality, Octavian, plebs, proscription, Religion, republic, Roman empire, Roman republic, Rome HBO series Rome, Titus Pullo. Bookmark the permalink.